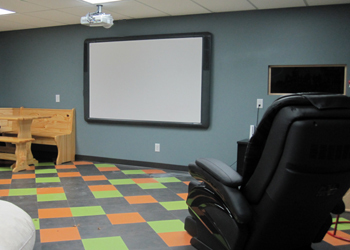 Supplying the world's most popular Promethean Interactive ActivBoards, Epson Brighter Futures Projectors, Classroom IR Audio Systems, and Digital Signage. "The Epson BrightLink 455wi offers two key features that distinguish it from most other projectors: It's interactive, and it has an ultra short throw lens." 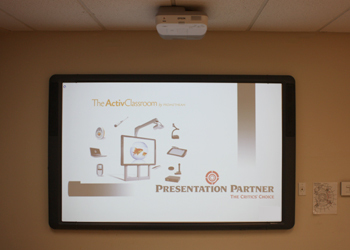 Look to Presentation Partner for your classroom AV technology. Presentation Partner is proud to be education partners with Epson Brighter Futures, Promethean AcitvClassroom, Avermedai Visual Presenters, and TeachLogic Classroom IR Audio. 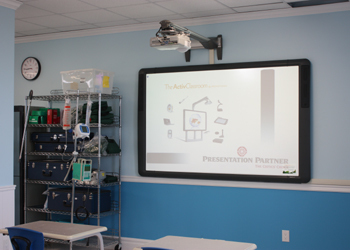 Typical classrooms are outfitted with a short-throw projector, interactive whiteboard, classroom IR audio system, and document cameras. School announcements are displayed via the PDTV Digital Signage system that utilize commercial LCD monitors designed to operate 24/7.